Closing Time opens a time portal to the lyrical mundanity of quotidian characters in the stillness of the night. Highly meditative and sedately paced, Closing Time is a poetry in motion, an intense mood piece. Closing Time opens a time portal to the lyrical mundanity of quotidian characters in the stillness of the night. Highly meditative and sedately paced, Closing Time is a poetry in motion, an intense mood piece. It’s an awe-inspiring travel through the passage of time, where the sky has turned purple. The cloud has cracked open and cantankerously torrenting rains has compelled the stillness of night to dance to its tune. The insomniac roads have sprawled in the heart of Taipei, and dreams, well, they should be left untouched. 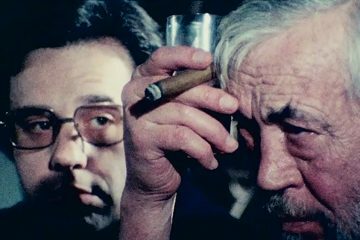 The film asks for absolute patience on the audience part, as the narration of “Closing Time” is driven by quotidian visuals that are sprinkled with frivolous conversations at long intervals. “This one is for anybody that is open and willing to sit down and switch off the things running through their brain and go into the space of experience rather than expecting a narrative. It’s for people who are able to create their own narratives,” Vögele explains in her interview to Variety. 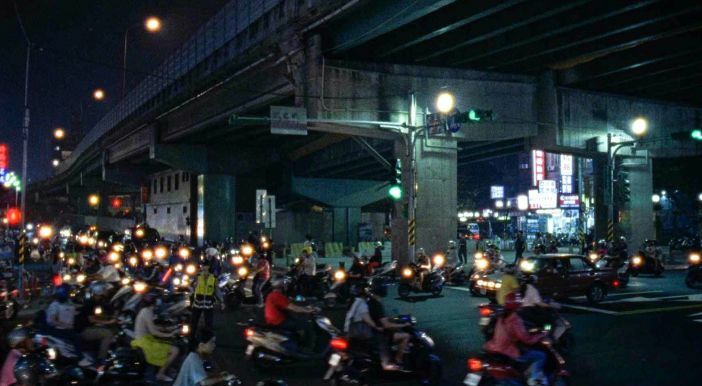 Closing Time, directed by Nicole Vögele, captures the humdrum of life around Zhongzheng Street during the night time. The Super 16-lensed camera is left untouched to capture the nocturnal, incessant contours of lives in Taipei, a city that never sleeps, as we see traffic is flowing speedily to go to their respective destination, rattling sound of crane piercing the silence, a small rice bowl & soup restaurant lit up by the night, and people from different walks of life taking refuge in that restaurant. 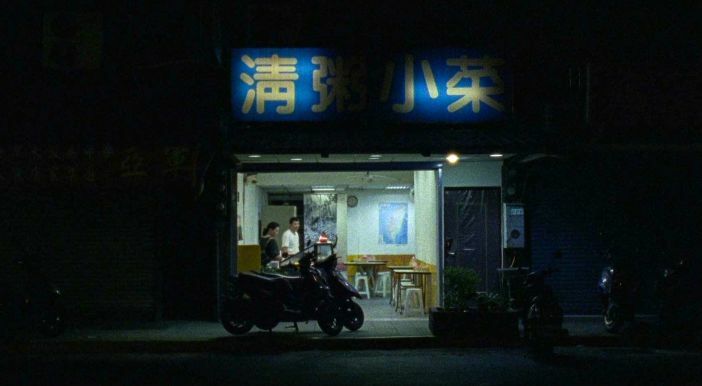 Road construction workers, taxi drivers, shopkeepers, young arcade owners in love and the tattoo artist from across the street make their short appearances in the film, they are seen eating at the restaurant run by Mr Kuo and his wife, Mrs Lin. Mr Kuo and Mrs Lin, the dedicated middle age couple, are consumed by their work throughout the night. They sleep in the daytime, leaving no room for personal life. Soon we learn, implicitly, in one of the scenes, that the couple might be facing a financial crisis that might knock off their restaurant business. It has been shot in a way to evoke the sense of eavesdropping the conversation between vendors and Mr Kuo. There is no internal turmoil to root for, to elicit our empathy, as we usually encounter with the characters under constant strain and hardship, forever on the brink of financial collapse. It’s done in a subtle way and left for our interpretation. One day, Mr Kuo, while returning from the market, takes a different exit on the highway. Camera swiftly follows the bike, cutting the silence of the countryside, breathtaking beauty of lush green forest drawing us in its hypnotic movement of leaves, narrow lanes leading to the tranquilness of spirit, and the blowing wind gradually fading the memory of daily routine life. What follows is an ineffable beauty of dreamlike haziness dissolving quietly in the trance-inducing visuals to steer away from the actuality as we know. The third act gives a whole new dimension to the film, also acts as a wake-up call for us who are embroiled in our real life. Nature and the world have so much to offer, and instead, we have tricked ourselves in an ordered time loop of modern slavery to make it our own reality. “CLOSING TIME” WAS SCREENED AT THE 2018 LOCARNO INTERNATIONAL FILM FESTIVAL. CLICK HERE FOR OUR COMPLETE LOCARNO COVERAGE.